stamp taxes on agreements signed in connection with the transaction. An important difference between the tax treatment of an acquisition of stock and an acquisition of business assets and liabilities is that the transfer of stock involves a single tax assessment for income tax relating to capital gains. An acquisition of assets and liabilities will involve both a capital gains assessment and transfer taxes relating to the property being transferred. Income tax from capital gains is applicable to a transfer of property including chattels, real property, and stock and securities issued by companies with taxable or local source income. Capital gains tax is set at 10 per cent. However, the criteria for assessing and collecting capital gains income tax are contingent on the type of property being transferred, as described below. A 10 per cent capital gains tax is applicable to income deriving from a direct or indirect sale of stock or any type of securities issued by companies with economic investments within Panamanian territory. Companies that keep economic investments within and without Panamanian territory will only be taxed in Panama over the value of the investment portion located in Panama. The capital gains tax is applicable when the stock or securities transferred are issued by a non-resident foreign company or held by non-resident individuals or companies and when the transfer takes place outside Panama. The taxable gain is the difference between the book and sale or transfer value of the stock or securities. Under an acquisition of stock or securities, Panamanian tax law requires buyers to retain 5 per cent of the total transfer value as an advance payment of capital gains tax. The buyer has the responsibility of forwarding the 5 per cent retention within 10 days from the date when a payment obligation arises. The buyer, the seller and the target entity or issuer of transferred stock or securities are jointly liable for any unpaid taxes. request a tax credit over any amount paid in excess of the 10 per cent rate of the gains arising from the transaction. The taxpayer may elect to use any resulting tax credit to settle other tax obligations or request a tax refund within three years of the year when the transaction and payment took place. Tax credits thus obtained cannot be assigned. the transfer value of the portion of the assets economically invested in Panama from the total assets subject to the transaction. results from a merger, consolidation or corporate reorganisation, and the transferring shareholder receives only stock of the subsisting entity, or an affiliate of the same, as consideration. Nevertheless, the subsisting entity may pay up to 1 per cent of the value of stock issued to the receiving shareholder in cash or other assets to prevent dividing the stock into fractions. Transfers of stock or securities that do not generate gains are not subject to capital gains tax. Where a transfer does not yield a gain, the taxpayer must file an application with the tax authority. The application will require the taxpayer to submit evidence of the tax-neutral transfer. The tax authority will review the taxpayer’s application and supporting evidence and may order an audit. Under double taxation treaties (DTTs) approved and ratified by Panama, a foreign transferor of stock or securities of a company with underlying economic investments in Panama may be taxed in Panama for capital gains stemming from the transfer. To levy Panamanian capital gains tax over a transfer of securities, DTTs generally require that the foreign transferor meet threshold participations and a minimum holding period of the target entity. A minimum capital gains tax rate of 5 per cent of the gross transfer price or 10 per cent of the capital gains is also included in certain DTTs signed by Panama. Georgia, Greece, Poland and Switzerland have all expressed interest in negotiating DTTs with Panama. Transfers of stock and securities of Panamanian companies are also subject to stamp taxes. Please see question 6 for a discussion of the applicable rates. In real property transfers, the taxable capital gain is the difference between the amount or value of the transfer and the sum of the ‘basic cost’ of the property plus the value of any improvements and any disbursements or expenses required to complete the transaction. In a transfer of real property, the ‘basic cost’ is the lower of the official property value or its book value. When the transfer is within the ordinary course of business of the taxpayer, revenue will be treated as regular income and must be reported within the annual income tax return for the corresponding tax period. From 1 January 2012, first-time transfers of residential properties by professional transferors will be subject to a capital gains income tax rate ranging from 0.5 per cent to 2.5 per cent, depending on the value of the property. First-time transfers of commercial or business properties by professional transferors will be subject to a 4.5 per cent tax rate. request a tax credit over any amount paid in excess of the 10 per cent rate of the gains arising from the transaction. Under this second option, the taxpayer may elect to use the credit to settle other taxes or request a tax refund in cash. Tax credits thus obtained may be assigned to other taxpayers. Under approved and ratified DTTs, a foreign transferor of real estate located in Panamanian territory may be taxed for capital gains in Panama. DTTs generally refer to the definition of real estate under the applicable laws of the jurisdiction where the property is located. However, DTTs generally provide that real estate includes property affixed permanently to the land, livestock and equipment used in agriculture and forestry. Transfers of Panamanian real estate are also subject to a 2 per cent transfer tax. Please see question 6 for a discussion of the real estate transfer tax. any other expenses or disbursements related to the original acquisition of the asset. Chattels that are categorised as fixed assets and that are permanently connected to an income-generating business activity may be depreciated on an annual basis. Depreciation is calculated based on the economic lifespan of each asset, which is contingent on the particular use of the asset, maintenance requirements, prospective asset obsolescence and generally accepted depreciation tables. For depreciation purposes, the lifespan of the asset may not be less than three years. If the transfer of chattels is within the ordinary course of business for the taxpayer, income must be included and taxes paid within the annual income return for the corresponding tax period. Transfers of chattels belonging to a permanent establishment in Panama may be levied with local capital gains tax under approved and ratified DTTs. Under DTTs approved by Panama a permanent establishment includes business headquarters, branches, offices, factories and workshops, as well as mines, oil or gas wells, quarries or any other site for extraction of natural resources. Building sites and construction or installation projects with a minimum duration of six months depending on applicable treaty provisions are also generally considered as permanent establishments under DTTs approved by Panama. Transfers of chattels and personal property are also subject to value added tax, domestically known as ITBMS. See question 6 for a discussion of this. In acquisitions of stock, the capital gains basis is the book value of the stock as reflected in the most recent audited financial statements of the target company. There is no room for a step-up in basis in the acquisition of stock. For personal property, the capital gains are assessed on the basis of the cost of acquisition of the property, therefore there is no step-up in basis available. The transfer of real property, however, does leave room for a step-up. In the sale of real property, the capital gains basis is the ‘basic cost’ of the property. The ‘basic cost’ is defined as the lower of the official value of the property and its book value. When the official value of the property is lower than the book value, there is no step-up in basis because capital gains are assessed at such official value. However, tax legislation provides the option of submitting voluntary appraisals of real estate to increase their official value. Under the tax reform adopted through Law No. 8 of 15 March 2010, voluntary appraisals may be submitted to reflect an increase in the official property value. Owners may consider the new official value as the ‘basic cost’ of the property if one year has elapsed from the date when the voluntary appraisal is approved by the tax authority. Such updated ‘basic cost’ may be considered by the property owner in order to calculate the applicable capital gains on transfers made after the new value is approved and recorded by the tax authority. The tax authority is also performing ex officio appraisals. Property values determined by an ex officio appraisal will apply immediately to the property. However, if the taxpayer had previously submitted a voluntary appraisal the value of the ex officio appraisal will become effective five years after the submission of the voluntary appraisal. if the value per instalment cannot be determined, the law assigns a 10 per cent cost to each instalment received within a fiscal year until the transferor fully recovers the capital investment. Panamanian tax law allows for depreciation of fixed or tangible assets. Intangibles cannot be depreciated for tax purposes. In a sale or merger of businesses at a fixed total price, the seller or transferor may determine the remaining economic lifespan of each fixed asset included in the transfer, and establish the annual depreciation that will apply based on the market value of each asset. In this case, the total value of the transaction will be distributed among the fixed assets for depreciation purposes based on the valuation methods applicable to each asset. The Panamanian tax system is based on the principle of territoriality. Consequently, taxes are levied on operations within the territorial boundaries of Panama conducted by any person or corporation regardless of their citizenship, residence or domicile. This principle applies even when agreements are negotiated, signed and completed and payments are made abroad. Under the general territorial taxation principle prevalent in Panama, and the foregoing capital gains and dividend tax considerations, there is no tax benefit if the acquisition is executed by a company established abroad. dividend tax withholding is not applicable to shareholders of Panamanian or foreign companies that serve as holdings of Panamanian companies that are licensed to do business in Panama by the Ministry of Commerce and Industry and are generating local source income. Pursuant to Panamanian tax law, Panamanian and foreign companies are exempted from withholding dividend taxes over any income deriving from a dividend payment, provided that the underlying company declaring such dividends has already withheld and paid the 5 or 10 per cent applicable dividend tax. However, in the case of a transfer of assets and liabilities that may include a change in ownership of real property or chattels that require registration, a foreign transferee company will need to be registered with the Panamanian Public Registry. A slightly less cumbersome approach would be to work through a local subsidiary. Company mergers are common forms of acquisition in Panama, and the merger process is expedient and straightforward. Panamanian laws afford a preferential tax treatment to mergers that meet certain criteria. Accordingly, mergers are often considered for structuring local acquisitions. 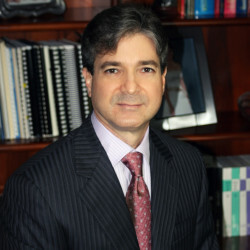 Moreover, the flexibility of Panamanian corporate legislation and its merger process, plus a favourable tax treatment, make Panamanian corporations attractive as holding and acquiring entities, and it is commonplace to structure merger transactions that may not necessarily be connected to a local asset or operation. 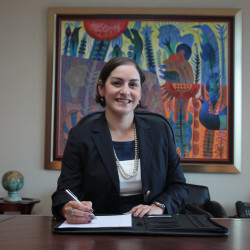 Under applicable legislation, a merger can be structured between two or more Panamanian companies or with foreign entities as long as, prior to the merger, such foreign entity is registered in Panama or the foreign entity migrates to Panama through the process described in question 12.
the tax authority is notified in writing within 30 calendar days from the date when the merger is filed at the Panamanian Public Registry. Such written notice must be submitted together with copies of the documents pertaining to the merger, and an affidavit signed by a Panamanian CPA certifying compliance with the applicable tax and accounting procedures. Mergers should be preferred over share exchanges because acquisitions through share exchanges are not expressly exempted from capital gains or other applicable taxes. In the case of share exchanges, the transfer of stock by the acquirer to the seller as consideration for the sale of shares in the target company may be taxable over any gains that may be realised if the value of the shares of the acquirer is higher than the value of the shares of the target company. While transfers involving direct share exchanges are not always favoured, acquisitions through three-cornered mergers or amalgamations where the transferor receives shares of the acquiring group are commonplace. In such cases, the acquirer may elect to merge with the target company, either directly if it is a Panamanian company or through a subsidiary if it is not, thus benefiting from the special tax regime for mergers. 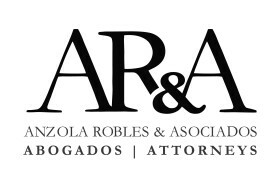 As Panamanian company law does not restrict the form of payment between shareholders as a consequence of mergers, the parties may elect to issue shares in the acquiring company to the seller as consideration. Capital gains tax provisions do not afford any preferences or benefits to straight cash or share exchanges. However, in the case of a merger of companies registered with the SMV, applicable securities legislation does favour share exchanges over cash payments. As discussed in question 4, shareholders of merging companies that are registered with the SMV are exempt from income tax over capital gains if shareholders only receive shares of the surviving entity as consideration. Additional cash or valuables that a shareholder receives from the merger to avoid fractioning shares will also be exempt, as long as it does not exceed 1 per cent of the total value of the shares of the surviving company. In addition to capital gains, the following taxes are relevant to the acquisition or transfer of stock or business assets. ITBMS is charged on transfers of chattels or personal property by sale or otherwise. It is also applicable to all imports. The taxable value is the price paid plus ancillary charges, or in the case of imports, the customs value plus customs charges. All transactions involving the transfer or transmission of tangible personal property, goods or the supply of any services or personal or real property rentals are subject to ITBMS at a rate of 7 per cent of the value of the sale, service or rental fee. ITBMS applies at a rate of 10 per cent in sales of alcoholic beverages, hotel and other public accommodation services. Sales of cigarettes, cigars and other tobacco products are levied with ITBMS at a rate of 15 per cent. ITBMS is not applicable to transfers of intangible rights under an acquisition of assets and liabilities or to the transfer of securities. Sellers of goods, rentals and services, including state-owned industrial and commercial enterprises, and all individuals and corporations are responsible for the collection of ITBMS. ITBMS must be reported and paid to the tax authority within the first 15 calendar days of each month. Taxpayers with an average monthly gross income not exceeding US$3,000, and an annual gross income of less than US$36,000 are exempt from ITBMS. A 2 per cent real estate transfer tax is levied on the transfer of real estate, including donations and non-lucrative transfers. This 2 per cent tax is charged to the sale price stated in the official purchase or sale agreement or contract, or the official property value (whichever is higher). The 2 per cent transfer tax is payable to the tax authority prior to registration of the transfer deed at the Public Registry, together with the applicable capital gains tax. The corresponding tax receipts issued by the tax authority must be incorporated into the property deed before the deed is filed with the Property Registry. A stamp tax at the rate of US$0.10 for each US$100 of the face value of the corresponding obligations may be levied over certain documents or transactions. Any business transaction that involves documents not subject to filing fees or that are not levied with other transfer taxes, such as ITBMS, is subject to stamp tax. Stamp tax may be paid either by an imprinted stamp on the transaction document with a value reflecting the tax amount or by filing a stamp tax return with the tax authority. Taxpayers whose line of business requires them to deal with recurrent stamp tax payments must submit a monthly stamp tax return. Agreements that are subject to stamp tax must bear either the stamp mark or the stamp tax return, evidencing payment. Thus, it is customary for stamp tax to be paid when the agreement is executed or immediately thereafter, to ensure compliance. Documents relating to matters that are not connected to taxable income in Panama are exempted from stamp tax unless they have to be submitted to a court or administrative authority in Panama. Operating losses are non-transferable from a target company to an acquiring or resulting entity, even when the acquisition is through a merger or consolidation. However, this principle does not extend to a change in control of a target company in the case of stock acquisitions. Net operating losses and tax attributes of the target are not limited or affected by a change of control of the target through the acquisition of its stock or by its insolvency. Therefore, the target company will retain the right to carry forward losses or benefit from tax attributes pursuant to the applicable tax provisions. Under Panamanian tax law, losses suffered by a taxpayer during the fiscal year may be carried forward for the next five years. During such period, the taxpayer may deduct up to 20 per cent of the total loss carried forward each year. However, tax deductions relating to carried-forward losses may not exceed 50 per cent of annual net income. Any portion of the 20 per cent loss allowance that is carried forward and that is not deducted during the corresponding year may not be deducted in other fiscal periods and will not give rise to any tax credit in favour of the corresponding taxpayer. Further to the above, accounts receivable that are time-barred from collection or that cannot be recovered due to the insolvency of the debtor may be deducted from a taxpayer’s annual profits and losses as long as the respective accounts are connected to a taxable source of income for said taxpayer and are duly reflected as gross income in the taxpayer’s books and records. From 1 January 2014, the corporate income tax rate is fixed at 25 per cent. The corporate income tax rate is assessed over the income generated by taxable activities in Panama less cost and expenses incurred exclusively in the production of such income or the conservation of its source and deductible allowances. net taxable income resulting from applying 4.67 per cent to the total taxable income. Income tax returns are due 90 days after the close of the fiscal year. However, the tax regulations provide for a single 30-day extension to file the income tax return. Along with the income tax return, companies must submit an income estimate for the following tax period. The income estimate must be equal to or higher than the taxable income for the last reported period. Estimated income tax is paid in three instalments that are due on 30 June, 30 September and 31 December. Adjustments between the tax assessment for the last reported period and the income estimate are made in the annual income tax return of the extant period. A company that yields net operating losses after being forced to file its income tax return due to the AMT rules may request the non-applicability of the AMT. If the request is approved, the company will be allowed to calculate and file its income tax return in accordance with standard income tax rules. Pursuant to Panamanian tax legislation, all expenses connected with the generation or preservation of taxable or local source income within a fiscal period may be deducted from that period’s income for income tax purposes. Interest payments made to local or foreign creditors may be deducted for income tax purposes, as long as the financing arrangement under which interest is disbursed relates to the production or conservation of local source income. There is no interest relief for borrowings to acquire the target. However, interest payments over borrowings are deductible expenses for the buyer of the acquired assets or stocks. The foregoing principles apply, without distinction, to local, foreign or related lenders. There are no restrictions on deductibility if the lender is local, foreign or related. However, interest, commission, other charges over foreign loans and any other type of financing arrangement are subject to withholding at a rate calculated by applying the respective standard income tax rate set forth in question 7 over 50 per cent of the corresponding payment to the foreign creditor. The standard income tax rate is 25 per cent, so the withholding tax will be assessed at an effective tax rate of 12.5 per cent of the total payment to the foreign creditor. Such interest withholding must be made by the local borrowing entity regardless of the type of financing arrangement in place with the foreign lender. The foreign lender is not liable to any further income or any other tax payment or tax return with respect to said interest payments. In some cases, it is possible to structure the foreign loan in a manner that will mitigate the interest withholding tax. Interest payments by a Panamanian borrower to a creditor with residence in a jurisdiction that has an approved and ratified DTT with Panama may be subject to a maximum withholding ranging from 5 to 15 per cent over the gross interest amount. The withholding will depend on applicable treaty provisions classifying the type of creditor and interest payment. Financing arrangements with Panamanian-based lenders are not subject to interest withholding. Payments to local lenders are the responsibility of those local lenders, and must be treated as local source income in accordance with regular and applicable income tax principles and regulations. There are no restrictions on debt pushdown under Panamanian tax law. Debt pushdown is usually achieved through mergers or the assignment of debt from parent to subsidiary companies, though depending on the type of lender, other restructuring and pushdown methods may also be available. Protection in the case of stock and business asset acquisitions is commonly sought through the insertion of appropriate warranties, covenants and indemnities in the respective sales agreements or acquisition documents. Similarly, it is also customary to conduct tax, accounting and financial due diligence of target companies. Sellers ordinarily indemnify acquiring parties from tax obligations arising in connection with the target’s activities. Such indemnities may include income tax liabilities and liability for ITBMS, property and other taxes relating to the target’s assets or operations. When crafting acquisition or merger agreements, acquiring and merging parties should take into account various statutes of limitations. Chief among those is the statute of limitations for income tax, which is seven years. The tax authority has seven years to collect income tax, calculated from the last day of the fiscal year when such income tax was payable. However, the statute of limitations is reduced to three years if collection is sought after a tax audit has detected improper tax returns or missing payments. Taxpayers have three years to request credits or reimbursement for payment of undue taxes from the date when such undue payment was made. For payments relating to withheld tax amounts, the statute of limitations is 15 years. As described in question 1, buyers acquiring stock and securities are required to withhold the respective capital gains tax and pay the same within 10 calendar days from the date when payment to the seller was made. Although the target company becomes jointly liable for due payment of capital gains taxes, sellers may also require further assurances and confirmation of remittance to prevent liability. It is generally recommended that acquisitions include the use of trusts or escrow agreements. This allows completion of any impending requirements for closing and also for a thorough due diligence of real property and other assets in transactions where time is of the essence. Indemnity or warranty payments connected to a source of taxable income in Panama are also subject to income tax. Such payments must be considered as part of the taxpayers’ gross taxable income for the fiscal year when they are received and eventually taxed at the applicable tax rates set forth in question 7. Post-acquisition restructuring in Panama is usually undertaken to simplify the corporate structure of the target entity in order to reduce tax, labour and potential operational liabilities that may arise in connection with the resulting group entities. The capital gain income tax outlined in question 1 is applicable to transfers of securities when the seller transfers the shares of the target company directly or when the seller transfers the shares of the target company by transferring the shares of another holding company. Therefore, maintaining cumbersome indirect holding structures does not necessarily provide tax benefits for the acquiring party’s operations, or for future transfers of the target or its assets. Therefore, corporate consolidation is the most relevant restructuring that usually takes place post-acquisition. It is common for intermediate subsidiaries used exclusively for holding purposes to merge with affiliates or subsidiaries to promote efficient control of the acquired entity and to correct tax inefficiencies. In addition to changes in the corporate structure, post-­acquisition tasks usually include a review of staff, management, executive and director removals and appointments, as well as all related labour issues. When the acquiring party is an economic group involved in the same business as the target this is a very important aspect, as appropriate restructuring will reduce the labour, social security and tax liabilities arising from redundant or duplicate posts and offices. If the acquiring company or group is from overseas, immigration and labour permit-planning is also pivotal. It is also common to review the situation with target group loans and other financing structures to reduce financing costs, release mortgaged or encumbered assets and procure favourable tax arrangements. Such restructuring may address, for example, any possible withholding taxes on interest payments abroad, as described in question 8. Recently adopted legislation regulates corporate spin-offs. Under the new legislation, a spin-off can be structured by divesting the assets and liabilities owned by a Panamanian corporation in exchange for the equity of one or more Panamanian companies. Operating losses may not be transferred through a spin-off. The transferee may also be a foreign company if the foreign company was previously registered in Panama, or if the foreign company migrates to Panama through the process described in question 12. The transfer of assets and liabilities through a corporate spin-off will not be subject to taxes, provided the assets and liabilities are transferred at the book value. However, parties to the spin-off are required to provide prior written notification to the tax authority of the corporate spin-off. It is possible for Panamanian companies to migrate to or continue their existence in other jurisdictions. There are no specific taxes in Panama relating exclusively to the migration of a company. To migrate into another jurisdiction, a Panamanian company must approve and file the respective corporate authorisations with the Panamanian Public Registry. The company must then comply with the continuation requirements of the foreign jurisdiction and obtain its local deregistration. Although the migration process itself is straightforward, steps must be taken locally to ensure that any assets or operations that require local registration are dealt with in due course. Hence, if the migrating Panamanian company holds any real property, such real property will need to be transferred to a Panamanian entity or to a foreign company registered in Panama. If the migrating company continues to do business in Panama as a foreign corporation, it is important to ensure that the business activities the migrating company is licensed for may continue to be carried out by a foreign entity. If the migrating company ceases its operations in Panama, it will need to wind up its local business and cancel its taxpayer registration. Within 30 days from the date when the company ended all business operations, the company must file a final balance and income tax return, notify the tax authority and pay income tax for any remaining or leftover income. The company must pay the corresponding income tax due at closing. If the company is subject to payment of ITBMS, a final ITBMS return must be filed to complete payment of collected taxes for the period immediately prior to termination of business operations. Finally, the company must complete payment of any outstanding municipal taxes for which it may be liable and inform the municipal authorities regarding the termination of its business operations. Interest, commission, other charges over foreign loans and any other type of financing arrangement associated with the production or conservation of local sources of income are subject to income tax withholding by the local borrower. The borrowing entity is required to apply a withholding over 50 per cent of the payment to the foreign lender at the standard income tax rate set forth in question 7. Hence, a 12.5 per cent effective withholding tax rate is currently applicable over interest payments from foreign financing arrangements. Such interest withholding must be made by the local borrowing entity, regardless of the type of financing arrangement in place with the foreign lender. The foreign lender is not liable to any further income or any other tax payment or tax return with respect to said interest payments. If the foreign lender is an income tax payer, this interest withholding is not required. In some cases, it is possible to structure the foreign loan in a manner that will mitigate the interest withholding tax. As mentioned in question 8, interest payments by a Panamanian borrower to a creditor with residence in a DTT jurisdiction are subject to a maximum withholding ranging from 5 to 15 per cent over the gross interest amount. The withholding rates are contingent on applicable DTT provisions that may classify the type of creditor and interest payment. bearer shares, the applicable dividend withholding is 20 per cent. The company paying dividends is responsible for withholding the tax from distributions to the shareholders and remitting the withheld dividend payment to the tax authority. In the event that there are no dividend distributions for a specific fiscal year, or if the company distributes less than 40 per cent of its net earnings for the fiscal year, the company must remit to the tax authority an advance payment of 10 per cent of the difference between the amount distributed and the total net earnings. Panamanian tax law calls the advance dividend payment a complementary tax. In the case of companies that operate from a free zone, an advance payment or complementary tax of 10 per cent is applicable over the difference between the amount distributed and the total net earnings, if less than 20 per cent of the net earnings are distributed. Dividend taxes must be paid to the tax authority within 10 days from the respective withholding, whereas complementary taxes are payable during the three months following the legal term to submit the applicable income tax returns for the respective period. Dividend tax withholding is not applicable to shareholders of Panamanian companies that do not require a licence from the Ministry of Commerce and Industry, operate within Panama under special investment statutes, or serve as holdings of other Panamanian or foreign companies that do not generate taxable income in Panama. Panamanian companies are exempted from withholding dividend taxes over any income deriving from a dividend payment, provided that the company declaring such dividends has already withheld and paid the 5 or 10 per cent applicable dividend withholding. DTTs approved by Panama generally provide that dividend tax is withheld at rates ranging from 5 to 15 per cent over the gross amount of the dividends. The withholding will depend on applicable treaty provisions. Panamanian tax law confers pre-eminence over local law to dividend tax provisions adopted by DTTs. In the absence of a tax treaty, the applicable dividend withholding is 10 per cent over dividends distributed from local source income, and 5 per cent over dividends distributed from foreign source income, income from free-zone operations or exports. Profits can be extracted from a Panamanian operating company through dividends, interest payments or payments to a foreign parent or affiliate in connection with services rendered abroad. Dividend distributions and interest payments to foreign creditors are subject to withholding taxes. As outlined in question 13, a dividend withholding of 10 per cent is applicable to most companies. A 5 per cent dividend withholding is applicable to companies that operate from a free zone and to foreign source income. Interest and other payments to foreign creditors are subject to a withholding rate that is calculated by applying the respective income tax rates set forth in question 7 over 50 per cent of the corresponding interest payment. The applicable tax rate over the total payment to a foreign creditor is currently 12.5 per cent. Payments to foreign entities in connection with services rendered abroad are considered local source income and are thus taxable under Panamanian law, provided that such services relate directly or indirectly to the generation or preservation of local source income, and that the local company benefiting from the services declares payments made to the foreign entity as a deductible expense for income tax purposes. The local company receiving the services must withhold at the corporate income tax rate over 50 per cent of the payment amount to the foreign service provider, or an effective withholding rate (currently 12.5 per cent) only if it elects to declare payments to the foreign entity as deductible expenses. In these cases, the foreign entity is not liable for any further income tax for these payments. such operation has an impact in the assessment of income tax in Panama with respect to taxable income, costs, deductible expenses or determination of the applicable tax basis. the headquarters or permanent establishments are abroad of an entity with a permanent establishment in Panama. Any related party operations will be subject to a comparability analysis through the application of approved valuation methods to review arm’s-length standards. Panamanian taxpayers are required to keep sufficient information and supporting documents in connection with any foreign-related party transaction, and to file annual reports regarding the operations with any foreign-related party. Transfer pricing annual reports must be filed within six months of the close of a taxpayer’s fiscal period. Disposals are most commonly carried out through a disposal of stock in the local company or the local or foreign holding company. In both cases, the applicable capital gains treatment will be the same, inasmuch as both transactions involve a transfer of an underlying economic interest in Panama (see question 1). Since asset deals will also involve transfer taxes over personal and real property, these transactions may become more complex and time consuming. However, they are often preferred by sellers seeking to mitigate potential liabilities such as prospective civil or labour litigation, incomplete or unclear corporate records and risky assets. Disposal of stock from a Panamanian operating company is subject to capital gains taxes regardless of whether the selling, buying and target entities are foreign companies operating abroad. As discussed in question 1, applicable tax legislation makes capital gains applicable to the transfer of any economic investment within Panamanian territory, irrespective of whether the transfer takes place within or outside Panama. Accordingly, capital gains taxes are applicable to the disposal of stock on any foreign company directly or indirectly owning stock in a company that operates in Panama and generates local source income. Foreign transferors may benefit from the tax treatment afforded to capital gains in disposals of stock under DTTs approved and ratified by Panama. As such, a foreign transferor may elect to pay capital gains in Panama subject to applicable treaty provisions and avoid a double taxation in its country of residence. For additional discussion of treatment, see question 1. To prevent indirect transfers of stock through foreign holding companies, Panamanian tax legislation makes the local operating entity jointly responsible for any unpaid capital gains taxes. There are no special rules dealing with the disposal of stock in real estate companies. However, prospective buyers of energy companies must ensure compliance with antitrust regulations, vertical integration restrictions and capital composition requirements. Buyers must also ensure they gain the approval of the Antitrust and Consumer Protection Authority and the corresponding energy sector regulator, the National Authority of Public Services, or the Energy Secretariat to continue the operation of the applicable concession or licence. Natural resource company buyers must meet antitrust and capital composition requirements and must gain the approval of the Ministry of Commerce and Industry, the Secretary of Energy and the Antitrust and Consumer Protection Authority to continue the operation of the applicable concession or licence. Capital gains and stamp taxes connected to acquisitions of stock are due when payment for the respective transaction is made. An option for deferring a portion of the applicable taxes in stock acquisitions is available in transactions that require payments in instalments or over a period of time. If structured appropriately, acquisition of chattels may also provide the same opportunity for deferring the payment of capital gains tax and ITBMS. Property capital gains and transfer taxes are due prior to registration of the property transfer, so there is little chance for deferral in real estate transactions. However, capital gains provisions in connection with the transfer of stock, chattels and real property provide the option of requesting tax credits when withholding values that are higher than the applicable capital gains at the rate of 10 per cent (see question 1). If the withholding is higher, the seller may request a tax credit for the difference. The seller has up to three years to offset the credit against other taxes or to request a cash return. Although the tax credit does not help the seller in reducing or deferring capital gains, it does allow the seller room for limited tax planning.